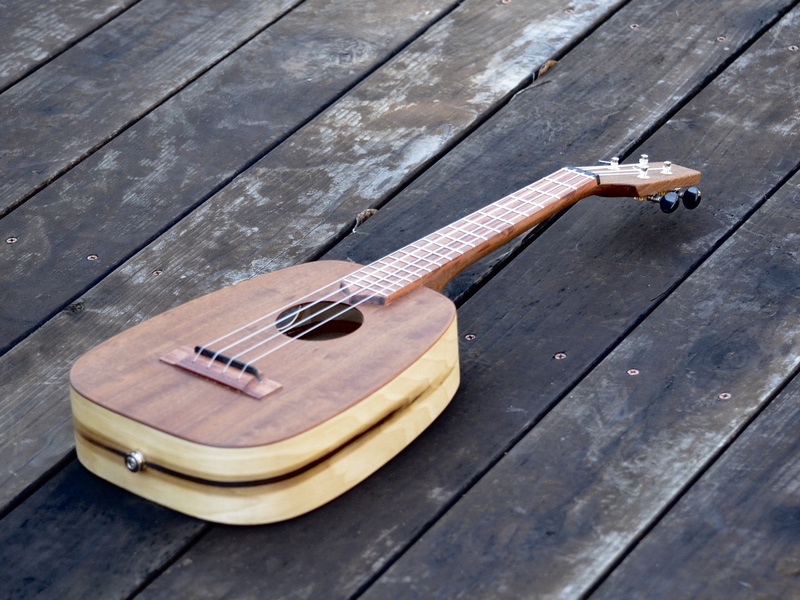 Ukulele “Olowalu” is named for a small beach on Maui which is one of my first memories of the place. Olowalu is basically a wide spot in the road on the way to Lahaina. If you’re not looking for it, you’ll drive right by. I remember snorkeling there with my cousins among flashing schools of papio. It was magic! 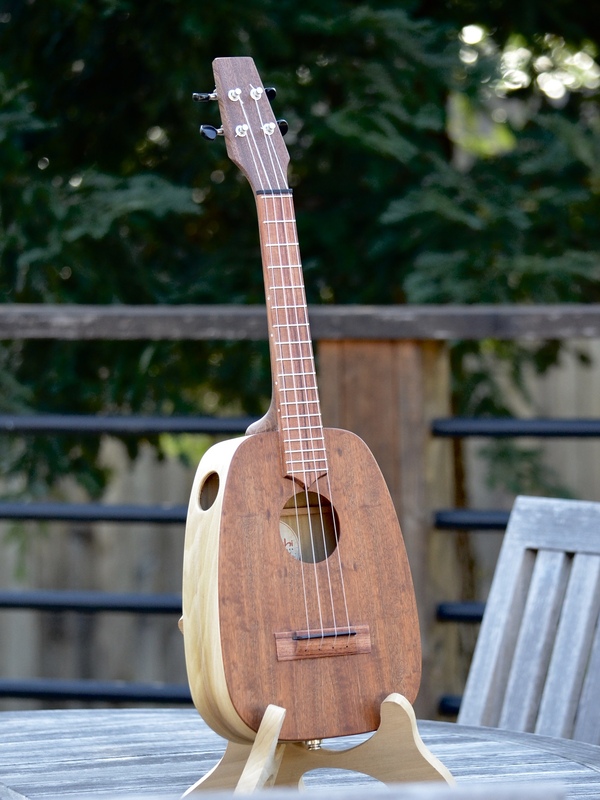 Ukulele Olowalu is an IDeale™ Keystone. That is, she has an IDeale-size body with an IDeale 16″-scale neck. She has our signature interlocking ladder bracing and a reinforced side port. 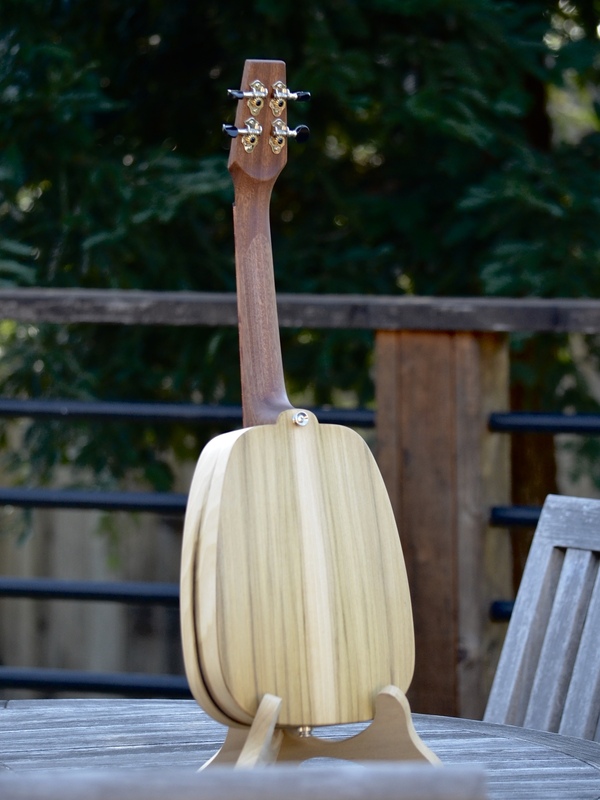 She has a curly sapele top which gives her a traditional look from the front. However from the side, her boldly stained poplar sides give a nice graphic shock for contrast. She comes with a K&K Sound Aloha Twin pickup and is tuned re-entrant GCEA. She also uses our new drilled-through bridge.